The Phono Box RS represents Pro-Ject Audio's first foray into the world of high-end electronics. As masters of the analogue domain, it seems only fitting that their first model in this new Reference Series range is a phono stage of true distinction. 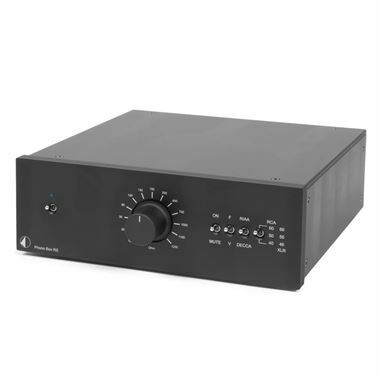 Due to the use of some of the finest quality components available, like the SSM2019 pre-amplifier from Analog Devices on the input stages and Linear Technology's LT1010 as a high current buffer stage, the Phono Box RS delivers ultra-low levels of distortion and noise. Its very low output impedance makes it insensitive to the selection of interconnect cable types and lengths.